We publish newsletters on different spheres and topics, which are issued in regular intervals, depending on the subject area. 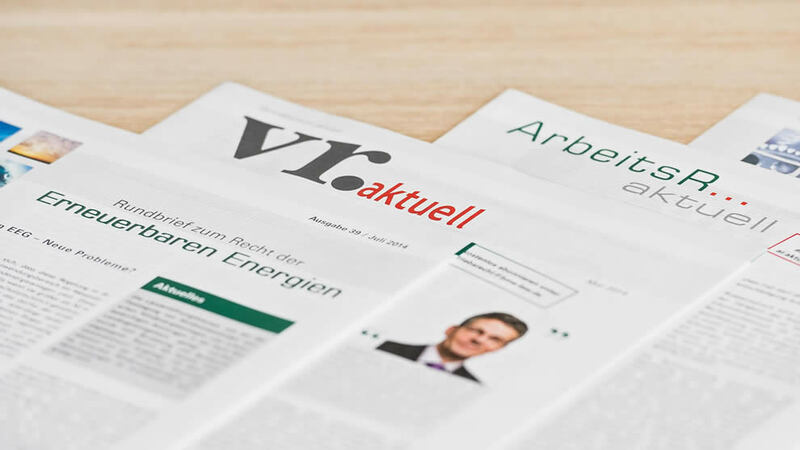 Our newsletters keep you informed about the latest jurisdiction while showing the relevant developments in law and legislation. We will send out the newsletter by regular mail or by e-mail according to your registration for the respective newsletter. This service is free of charge and you may cancel your subscription at any time. If you do not want to receive our newsletter anymore you can unsubscribe here.